If you are in Germany for the cup you can see this new ad by adidas by the Munich airport featuring Oliver Kahn. What do you get when you cross fashion with the most popular sport on earht ? 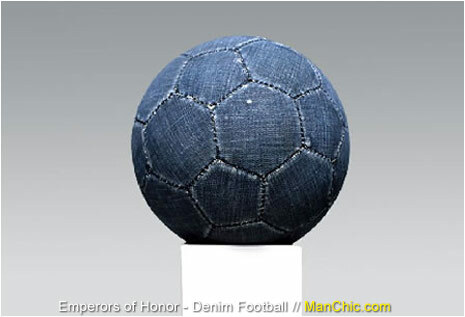 The Denim Football concept comes at perfect timing with World Cup. 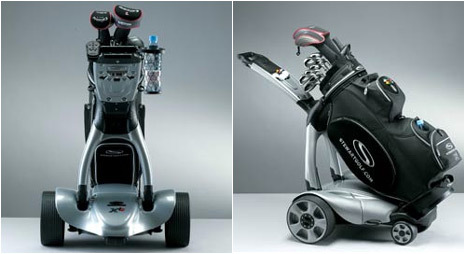 X1R is a fully remotely controlled caddy which gives you the freedom of the course with an impressive 50 metre range. 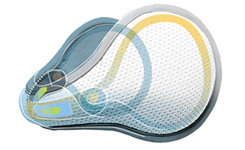 Stewart Golf designers have included many features required by the serious golfer. Your scorecard and pencil can be placed in the removable scorecard holder. There is an innovative gimbal mounted drinks holder, and somewhere to put your sunglasses and towel. How clever. Jamie King is one of the most sought-after director/choreographers in the business today, having choreographed and directed for an impressive array of clients including Ricky Martin, Britney Spears, Shakira, Madonna... This guy has made swet many. You can Click Here to see Shakira's latest video "La Tortura" coreographed by Jamie. The video made its world premiere Tuesday, April 26th on MTV US, MTV ES and various channels around the world. "La Tortura" was directed by the acclaimed Michael Haussman (Kanye West, Madonna, Eric Clapton) and filmed in an original art deco building. Enjoy ! Ok men...when swiming at the gym (or any where), one wants to stand out and look his best from head to toe, yes? 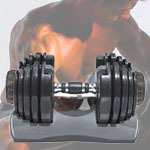 C-IN2 can help you accomplish standing out and looking good in all the "right" places. For 2005, C-IN2 presents this Solid Square Cut Trunk. It is sure to "excite" as it contains the patented Sling Support System...sometimes a man needs to stand out in the crowd, so email us at manChic, we're here to help. Dolce & Gabbana outfits for early spring running sessions. Don't you just feel like doing something sporty now? 180°s Ear Warmers are the only product of their kind to feature the Motion Control System™. The patented frame design maximizes performance and comfort. The adjustable design allows 180s Ear Warmers to expand and contract to comfortably fit all heads. Whether in high-performance sport or leisure winter activities, 180s makes an ear warmer that keeps the ears warm and comfortable. They come in many colors. We love the new vide on lovecapoeira.com and we suggest you see it ! A deck shoe this high in the countdown? We love the W2 because it combines a refreshingly unpretentious design with stunning competence as a waterproof hull-hopper. 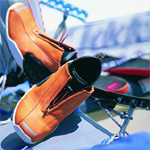 The perforations in the upper (the black part) channel water through the shoe and out viaa large mesh-covered groove in the sole. Smart. $100.